» PC Gaming » What Makes A PC Game Worth Playing? What Makes A PC Game Worth Playing? In today’s post I’d like to talk a little bit about the factors that make a PC game a great game, the things that make a game’s replay value shine. The things that people want and don’t want when it comes to a good game on PC. Is it simply consistent content? Or is multiplayer now a necessity? Let’s go over what keep us – the players – around for the long haul when it comes to a game’s development cycle. I’ll also go over a few things that developers do wrong to keep us away, whether it be an accident or not. One of the things I see a lot of people wanting (and sometimes demanding) from developers is consistent content, which makes complete sense. Especially when it comes to early access titles – they have this big promise of an ambitious game but if you’re going to take 3+ years to deliver on that promise, without releasing any other fun content, then your game is bound to die. There has to be something to keep us coming back for more. That or you need to have a large amount of content to explore (looking at you Skyrim, Witcher III, Fallout 4) to keep people playing. Whether it’s new characters to play as, new levels to explore or simply new cosmetics to go for – people want to have fresh content on a consistent basis. I appreciate how Battlerite does in this retrospect, they release a new champion every month or so and they just had a “non-holiday” event for prehistoric cosmetics which gave people something new to work towards. Providing mod support can also help a title ten fold, given that the game is the type of game that is good for mod support. If more developers focused on creating new content for their games then they’d see a lot more success heading their way. If you take a look at some of the top games being played through Steam right now on Steam Charts you’ll see that almost every single game has multiplayer. 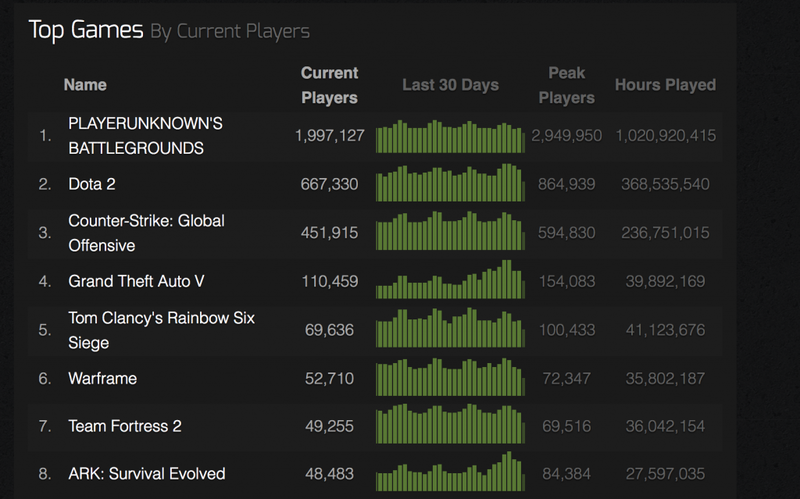 The top three most played games right now are Playerunknown’s Battlegrounds, Counter Strike: Global Offensive and Dota 2. Now as I said above, if a game has a ton of content and/or adds content on a regular basis then a single player game can do extremely well. I enjoy multiplayer games but it’s definitely not the deciding factor for me. There are a ton of people though that won’t play a game unless it has some sort of online co-op or PvP aspect to it. Especially with today’s standards of gaming, adding in multiplayer to a game where it makes sense could be a good move for developers. 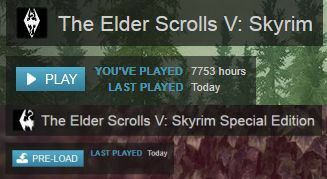 This might not be as important to many others but for me, progression is almost a must-have in order for me to want to keep playing. I remember back when I played a lot of Call of Duty: Modern Warfare 2 and unlocking a gun’s camo was one of my ultimate goals, I didn’t stop playing until I at least had blue tiger camo on my favorite gun. I was really hoping that Call of Duty: WWII would have had a similar feeling of progression but in my opinion it doesn’t really deliver on that classic COD experience. That and they just had to involve the loot box type system into the game… I understand that some games have had crazy success with it so I can see why companies would want to try and get their slice of the pie but people are starting to catch on and are wanting a classic experience. When it comes to progression, unlocking skins or leveling up your character feels awesome. I think most would agree with me that grinding out your levels to unlock a crate is getting old. Which leads me into a very interesting topic when it comes to gaming, especially with giant gaming corporations. Transparency has been proven to be the ultimate key to success for developers and publishers. Take a look at how Blizzard is doing. They’re letting their fan base know what they’re working on and what they plan to add in the future and they aren’t lying about any of it – they’re actually delivering on what they say they’re going to do and then some. But the entire thread was full of misconceptions and lies. 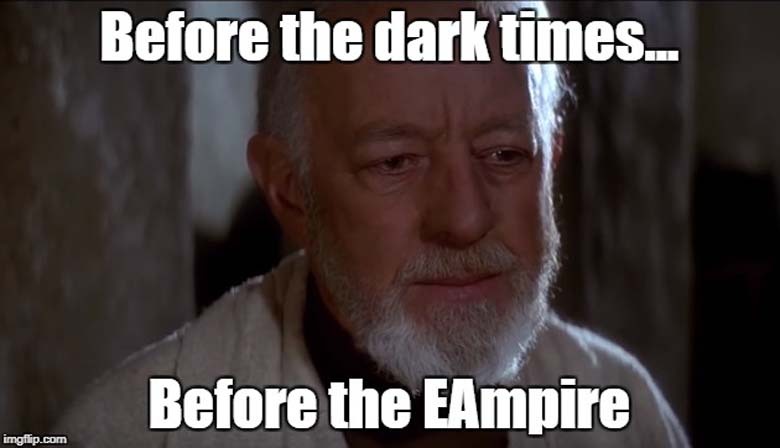 You could tell that there were greedy corporate executives telling the social department exactly what to say and they kept on being misleading about the future of Battlefront and they didn’t simply provide what the people wanted. 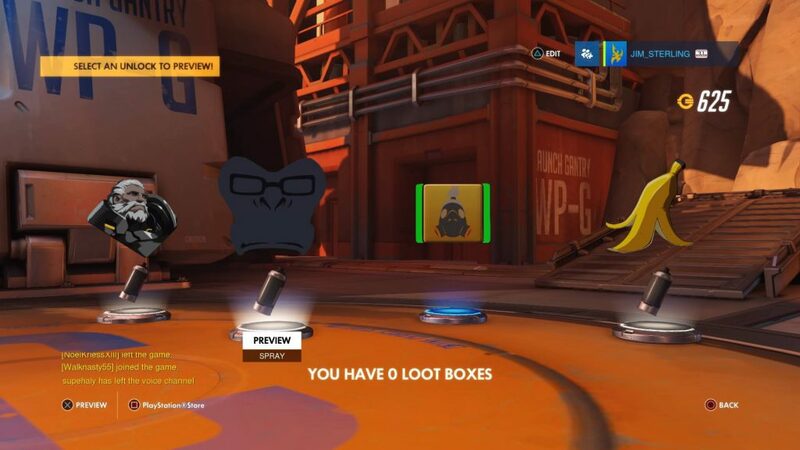 I’m sure they have a bunch of analytical data and what not like they say, there are a TON of people that purchase loot boxes and what not. With EA being as greedy as they are, why wouldn’t they try? Makes sense to me why a corporation would give it a shot, but it doesn’t make sense to me why they didn’t just change everything up to make their fans happy. In the future, the gaming corporations and even smaller indie developers that have complete transparency will be the winners. They’ll have the best fan bases and the success will follow at high levels. When you’re looking for a new game, what do you look for? What are your most preferred features with a game? If a game doesn’t have cool progression and lack of content then there is no way I’m checking it out. Which games set a good example for other developers? Which companies are awesome at creating consistent content? Tagged bad games, good games, good pc games, top rated games. Bookmark the permalink.